My research has revealed that, while there are irrefutably numbers of critical institutional, organizational, cultural and societal barriers to ultimate success for women today, most professional challenges, are related in some core way to a lack of internal or external power that causes steady “leaks” in confidence, vision, and authority. 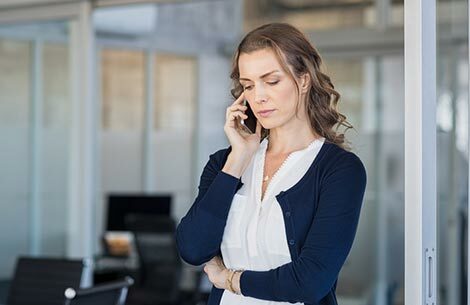 These leaks affect women’s ability to make the headway necessary towards building a more authoritative and rewarding professional life with the impact and fulfillment they long for. I’ve made it my life’s work to help women close those power gaps, for good. I’ve found that while some men experience these specific gaps, they hit women harder and have more long-lasting negative effects for women than for men. And women process these gaps very differently from men. I refer to these challenges as “power gaps” because I see them as just that – gaps in our power that steal from us what we need most to succeed: energy, confidence, clarity, commitment, connection, and influence. The longer the gap remains unaddressed, the wider it comes, and the more damage it does to our internal sense of confidence and control. Further, the “impostor syndrome” that so many women live with today is a corollary to this gap. When we believe deep down that we’ll be “found out” (ridiculed, punished, rejected or fired, for example) for what we DON’T know, or what we believe or value that goes against the grain, then we live in fear. And that fear prevents us from being able to leverage what we DO know, and what we’re passionate about and believe in. In the end, it’s impossible to network powerfully when you hate what you do. In reality, there’s no way to escape pain and failure in our work-lives – at some point, we’ll all feel it. The question isn’t “How do I avoid failure?” because we can’t. Face it bravely, get outside help to be accountable, and take actions that will finally help you recognize and leverage your special talents and abilities, and feel more confident in all that you are and offer. As Einstein so wisely said, “We cannot solve a problem on the level of consciousness that created it.” It’s time to shift our consciousness, and “find brave” every day to close the gaps that keep you from your highest and happiest potential.